HTC Butterfly 3 to spread its wings next quarter in Japan? Last month, we passed along some information about the next iteration of the Butterfly series produced by HTC. 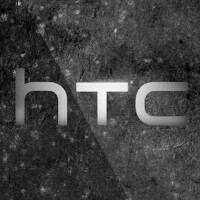 Speculation has the unannounced HTC Butterfly 3 carrying a 5.2-inch glass with a resolution of 1440 x 2560. Not even the new HTC One M9 offers a QHD screen. The Butterfly series has been an Asia-only affair and the Butterfly 3 promises to be no exception. The latest buzz around the water cooler has the HTC Butterfly 3 being released in April or May. First stop is Japan where the handset is expected to be offered to KDDI customers. The rumor also contains an interesting tidbit; the HTC Butterfly 3 will offer VoLTE capabilities. The phone will be offered in white, blue and red. There are plenty of blanks to be filled in. We have no information on the specs outside of the display, and there is no word on pricing. If the device is going to be released next quarter, that information should turn up in the not too distant future. What? "butterfly 3 should have been the M9" If you are referring to screen resolution then myself and many other folks are relieved that HTC stuck to 1080p display...1440p display on 5" screen is stupid...M9 has best available hardware...Camera quality is only part of phone with issues...which HTC may fix with future updates...no one talks about perfect audio quality of M9 which is by far better than any other smartphone out there. No, I'm talking about the extra time needed to fine tune a device. Screw a 2K screen.... The M9 got a lot right but ultimately left me scratching my head as to why HTC seemed to half bake the phone. Butterfly always has higher features than one series, and it is Japan bound. But HTC has way too many higher end devices and ridiculous entry level devices. Desire eye and E8 was almost the same as M8, besides the plastic design and mega selfie cam. I like their 816 and 820 though. Im definitley buying the B3 and the B2 this year if the 3 comes out. It better be water proof too. Cant wait.